3% balance transfer fee is good for the card. 10.99% introductory APR for 6 months to balance transfer. 0% APR for 6 months on Discover Student Cash Back. Good reward points for the categories that card provides you. However if you are not spending much on those categories, we recommend you to check alternative cards. 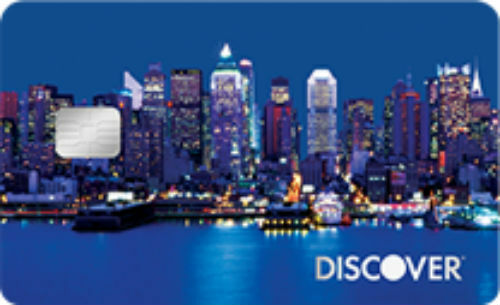 There is no annual fee of Discover Student Cash Back. Maximum purchase and balance transfer APR, cash advance APR are high. $1500 purchase limit for bonus categories is low. 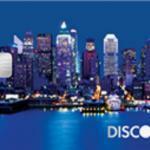 Discover Student Cash Back is a credit card which is looking like the main cash back card of Discover it. There are just small differences. We are going to review features of this card. 6 months no APR for purchases is good. Discover Student Cash Back card regular purchase and balance transfer APR is 15.24% – 24.24%. The minimum APR is not very bad but the maximum APR is very high. Cash Advance APR of all cards of Discover it is high and this is one of those cards. The Cash Advance APR is 27.24%. There is also introductory APR for balance transfer too. First 6 months you are going to pay 10.99% APR. 6 months later, you will need pay the regular. Unfortunately Discover doesn’t mention about the foreign transaction fee. You will need to call to Discover it credit card customer care to learn about the rates. This is important for you if you purchase products with foreign currencies and shops. There is no annual fee of Discover Student Cash Back. It means you will not pay for this card annually and this is also important to save money. Cash Advance Fee rates are high. However balance transfer fee of the card is reasonable. Discover Student Cash Back provides 5% cash back to consumers for purchases on different categories. You can see these categories in the list below. These purchases are limited with $1500 in three months. Consumers can also earn %1 cash back to all other purchases. There is not bonus of the card but you can earn cash back match at the end of the year. It means you will be rewarded with cash backs which you earned with your purchases in a year. So you will double up your rewards. This is just one time offer though. So you will not able to get this cash back match feature once more. 15.24% – 24.24% 5% cash back on purchase categories which cards provide you in each months. (Categories in 2019: Amazon.com, Restaurants, Groceries, Gas Stations, Uber & Lyft) This is limited with $1000 in each quarter. $20 statement credit for students, get more info from card issuer website. Cash back match at the end of the year. None Unknown $10 or 5% 27.24% 3% 10.99% APR for first 6 months.